A picture of a building only tells a story because someone first envisioned its infinite possibilities – how to design it, build it, and use it. With 130 years of history, CR Meyer has plenty of stories to tell. The values we share as a company – and the good people who make us who we are– have shaped this proud history. Charles Rudolph (C.R.) Meyer, a German immigrant, starts his own masonry business in Oshkosh, Wisconsin, that will grow to employ 12 men by 1900. 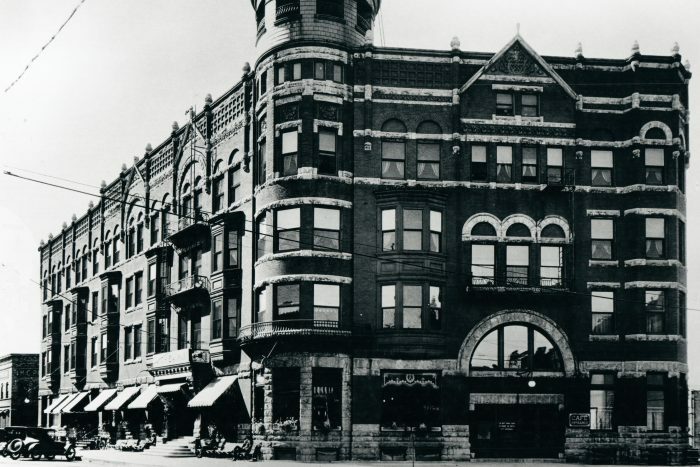 CR Meyer completed the four stories of distinctive brickwork on the Athearn Hotel at High and Commerce Street in Oshkosh, Wisconsin. Completed in 1891, it was designed by popular local architect William Waters, the same man who designed the Oshkosh Opera House. The two buildings were joined by an underground tunnel. 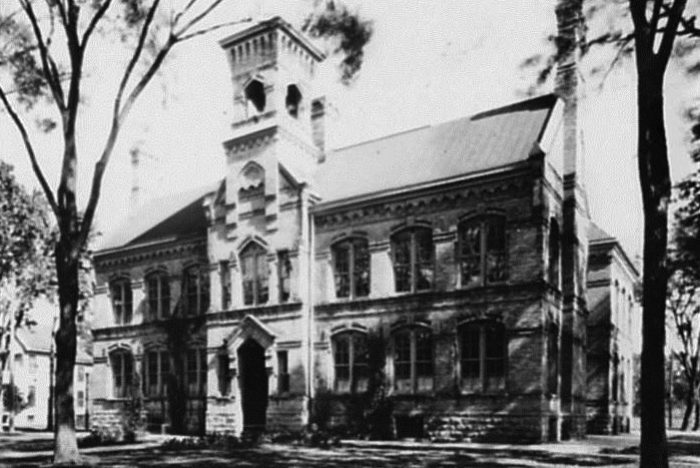 The hotel was razed in 1965. CR Meyer built a mansion for the lumber baron and banker Edgar P. Sawyer, which later became the Oshkosh Public Museum. CR Meyer and Sons Company is incorporated, still primarily a masonry company. 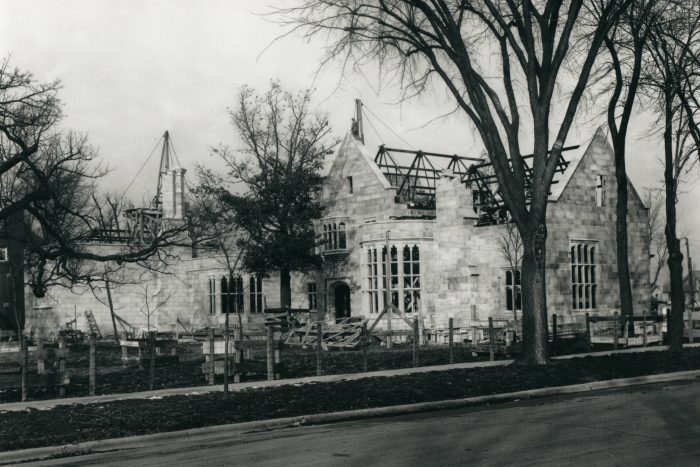 Churches, schools, hotels and the mansions of Oshkosh's wealthy industrialists are built by the masons of CR Meyer and Sons Co.
CR Meyer begins a three-year project to complete the Tudor Revival-style mansion of lumber baron Nathan Paine and his wife Jessie Kimberly Paine in Oshkosh, Wisconsin. 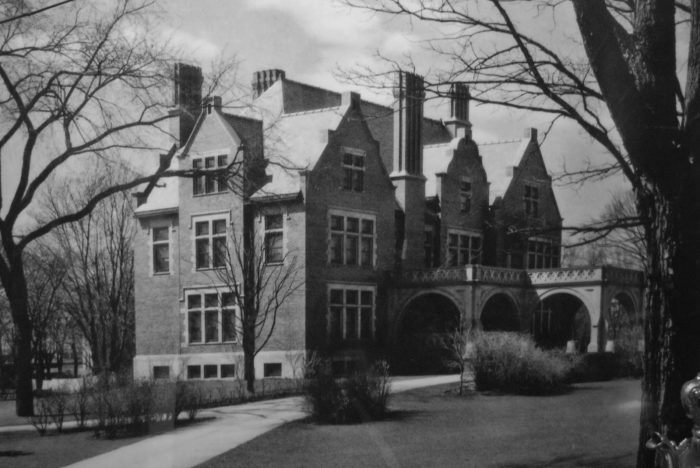 Considered an 'American Castle,' it later became the Paine Art Center & Gardens. In 1928, CR Meyer and Sons Co. inadvertently became a general contractor while building the Bergstrom Paper Mill in downtown Neenah, Wisconsin. C.R. was asked to take over the carpentry after the carpentry contractor abandoned his contract due to a faulty bid. From this job forward, CR Meyer and Sons Co. manages complete construction projects as a self-performing general contractor. C.R. retires and hands the business down to his sons, Edward (president) and Harry (vice president). He dies two years later at age 84. Harry Meyer is named company president when his brother Edward exits the company. He hires the first structural engineer, a pivotal step that positions CR Meyer and Sons Co. as capable heavy industrial contractors. They begin work in setting of heavy equipment, emergency industrial repair, engineering, and planning. Post WWII industrialization required huge investments in hydroelectric power. CR Meyer and Sons Co. contributed mightily to multiple power generation projects. Peavy Falls, located in Iron County of Michigan's Upper Peninsula, was built from 1941-1943 by a swarm of CR Meyer and Sons Co. for Wisconsin-Michigan Light and Power Company. 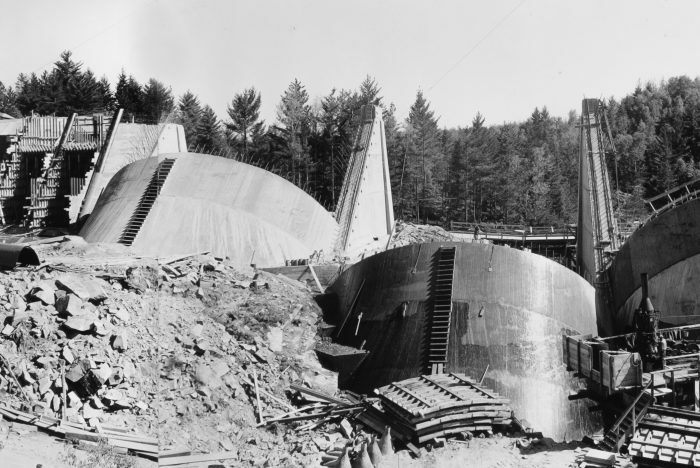 Placing bottom sections of draft tube for the Michigamme Falls Dam Project in Michigan. Pouring the machine room floor at Nicolet Paper Co., DePere, Wisconsin. Fred W. Pinkerton, Sr. is named company president upon the retirement of Harry Meyer. 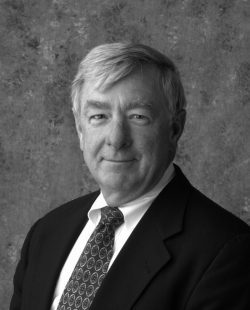 He was responsible for hiring the firm's first architect, Cliff Rosen, circa 1975. He also oversaw the purchase of the crane fleet of Griese & Ross in the 1980s, adding heavy equipment to the firm's portfolio. After constructing mills and setting machines years earlier at Marathon Paper in Menominee, Michigan, CR Meyer and Sons Co. is consistently invited back to rebuild machines and expand our customers' production capacity. 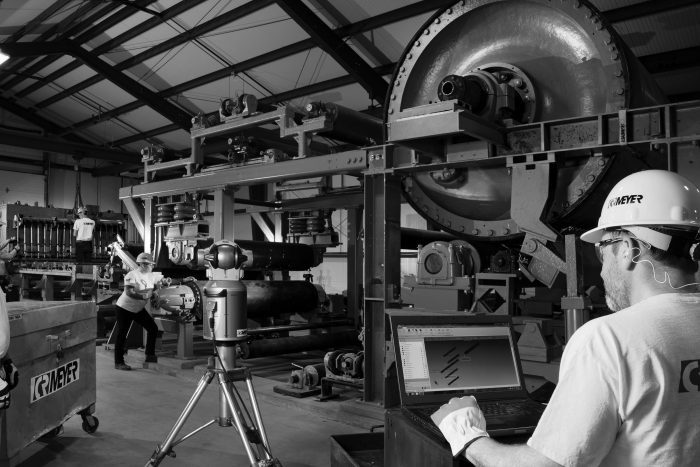 Our engineers and tradesmen are always on the front lines of building lasting relationships just as often as they build productive factories, mills and plants. CR Meyer installing the second floor beam forming at Nicolet Paper Co., DePere, Wisconsin. 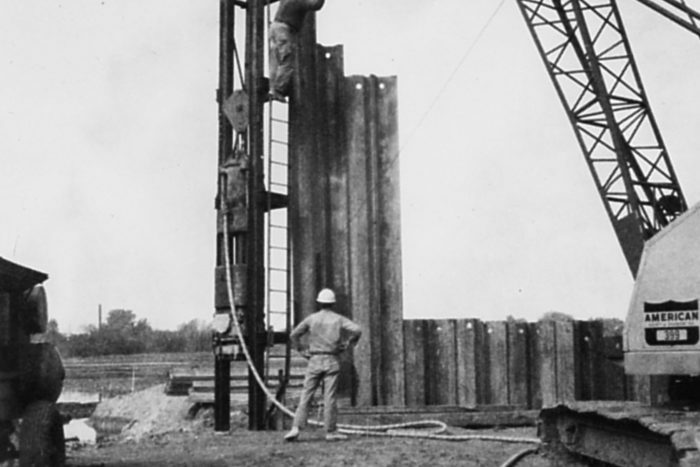 Driving cofferdam piling for weir on settling basin at Nicolet Paper, DePere, WI. 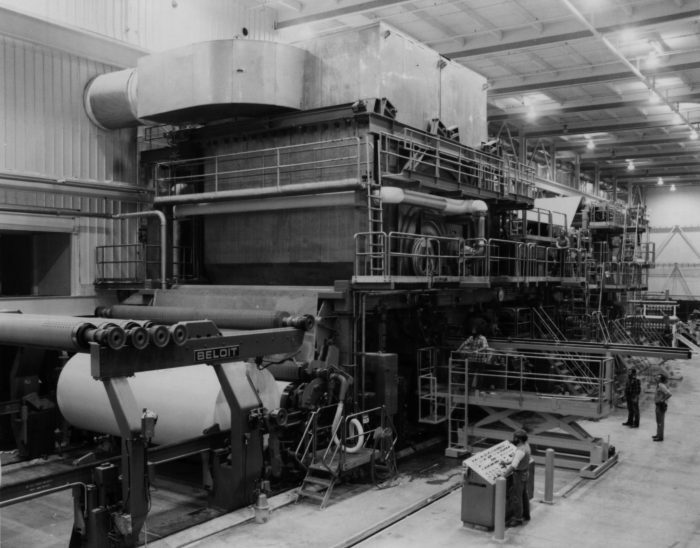 Wisconsin Tissue Mills of Menasha, Wisconsin, contracted with CR Meyer and Sons Co. in 1982 to construct a new machine room and erect its new 65,000-ton annual capacity Beloit paper machine (PM#3) and Yankee dryer. Completed 44 days ahead of schedule, the expansion was widely respected in the industry as CR Meyer and Sons Co.'s trademark combination of contracting, engineering, machine erection and construction management skills. 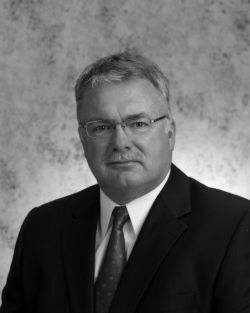 Fred M. Pinkerton, Jr. is named company president. He significantly expanded the firm's team of talented architects. By the early 1990s, CR Meyer and Sons Co. was one of the only construction firms in all of Wisconsin to pioneer computer-assisted design services. Curwood of New London was a successful meat and cheese packager even before being acquired by Minnesota-based Bemis in 1965. 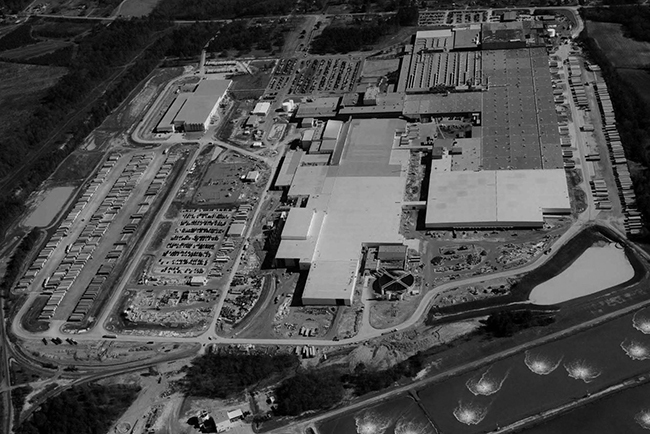 When Curwood prepared to expand in 1979, they collaborated with CR Meyer and Sons Co. to design and build the company's new plant in Oshkosh. 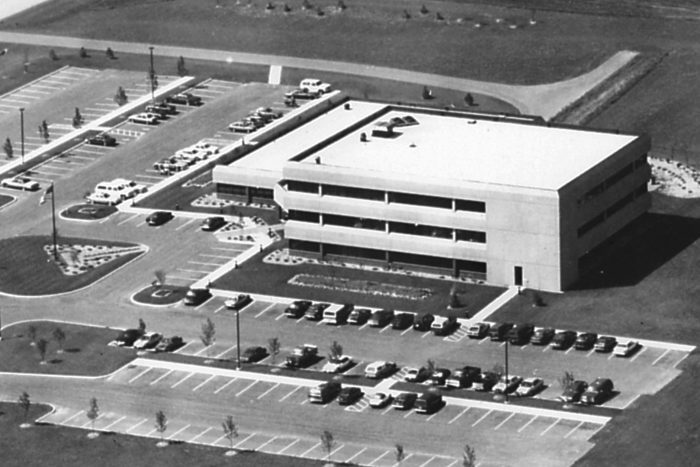 In 1987, the Curwood general offices and research labs would be just one of eight buildings and additions eventually built at the Oshkosh Curwood campus by CR Meyer and Sons Co.
Phillip J. Martini, P.E., is named president upon Fred Jr.'s retirement. 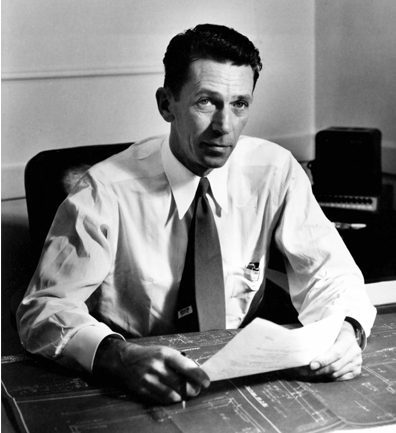 He led the company in a rapid expansion of field offices across the United States to maintain responsive business relationships within a swiftly consolidating papermaking industry. Much of Kimberly-Clark's early 140-year history of expanding production and innovation in Wisconsin's Paper Valley region was performed within mills constructed and equipped by CR Meyer and Sons Co. Neenah Paper, the Kimberly Mill, the Whiting Mill, and the Niagara Mill were built by CR Meyer tradesmen who then went on to set their paper machines and ancillary equipment. Darren Lett, P.E., is promoted to president of the company upon Phil Martini's promotion to company CEO. He seeks to develop new growth within the industries that CR Meyer knows so well, expanding capabilities like pipefitter and boilermaker services while uncompromisingly delivering on safety, quality and scheduling expectations. CR Meyer is consistently named to the top 10 industrial contractors across the U.S. by Engineering News Record (ENR). The company ranks in the top three industrial contracting firms serving the pulp and paper industry. In 2013, The Fab Shop (established in 2011) moved to its current Kaukauna location of 59,500 square feet. 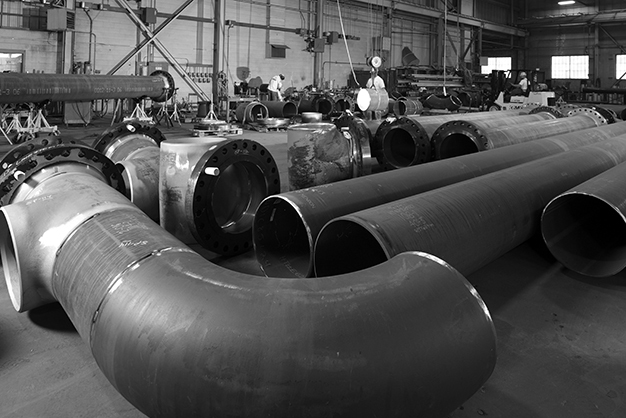 The decision to get into fabrication gave CR Meyer more flexibility to meet tight delivery deadlines. CR Meyer removed the existing #1 and #2 Tissue Machines to make room for the new #5 Tissue Machine. 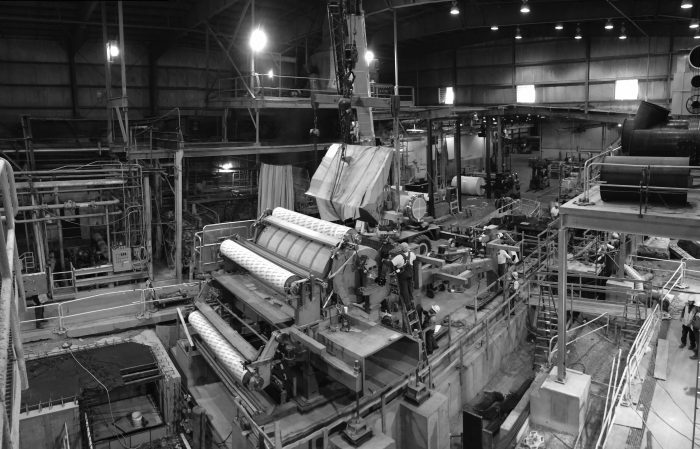 The entire project was completed alongside an operating #3 Tissue Machine. 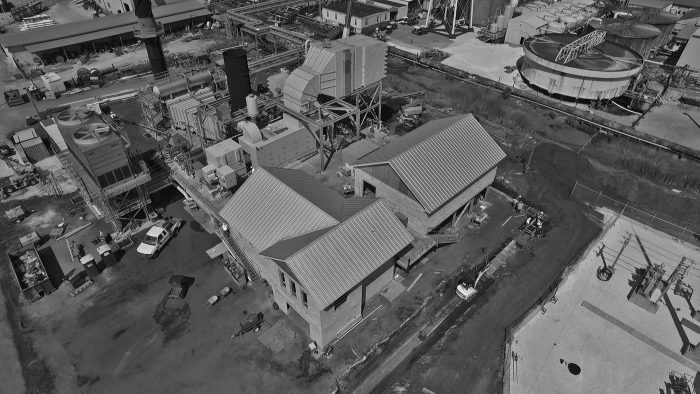 CR Meyer installed a 20 MW Gas Turbine and Heat Recovery Steam Generator, along with associated foundations, piping and electrical systems for Eight Flags Energy in Fernandina Beach, Florida. The Charles R. Meyer Leadership Center established. By investing in our future through training, we are making an investment into our employees to become the future leaders of our company. Charles Rudolph (C.R.) Meyer emigrated from Germany to America with his family as a boy. He was a skilled mason who worked for Oshkosh area contractors as a young man. Established in 1888, his own stone masonry business already employed 12 masons by 1900. In 1912 he officially incorporated his construction business, C.R. Meyer and Sons Co. Upon successfully constructing the Bergstrom Paper Mill in Neenah, WI in 1928, C.R. Meyer and Sons Co. went on to establish an excellent reputation as the capable builders of many of the largest paper mills in Wisconsin and the Upper Peninsula of Michigan, plus dams, bridges, and hydroelectric plants. Wealthy industrialists in Oshkosh also called on C.R. Meyer and Sons Co. to construct their elegant and distinctive mansions, many of which remain landmarks of beautiful craftsmanship today. Numerous area churches and schools can also trace their roots to the Meyer family business. 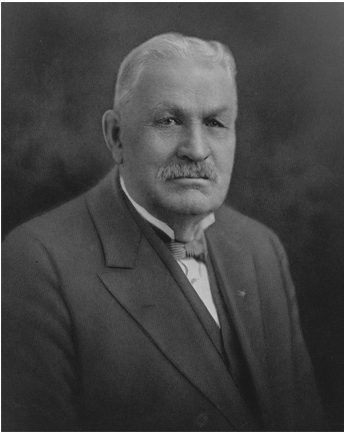 Married to his wife Louise and father of nine children, Meyer trained his two young sons Edward H. and Harry D. as mason’s tenders and immersed them in workings of the family business. C.R. retired from the company he founded in 1932 and handed his business down to his sons. Edward was named president; Harry, vice president. A veteran of the Civil War, C.R. died in 1934 at age 84. As a young man, Harry worked for his father and eventually assumed the roles of Company Secretary and Vice President. The two brothers, Edward and Harry, successfully navigated the business through the Great Depression and emerged in an excellent position to help revitalize America’s burgeoning WWII-era heavy industry. 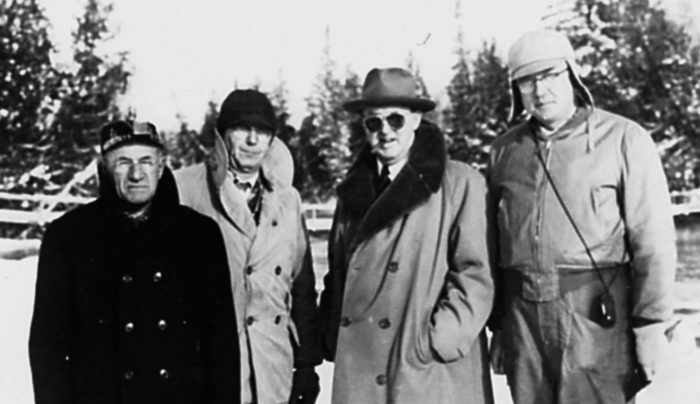 Harry was named President in 1939 when his brother Edward exited the family business to start his own commercial construction enterprise. Harry had a passion for heavy industrial work. He hired C.R. 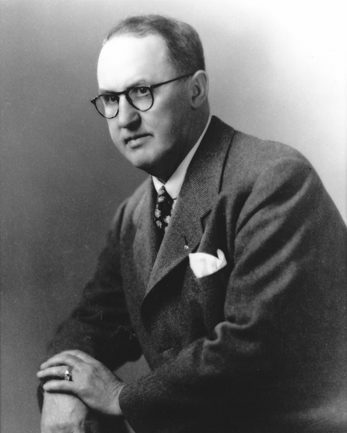 Meyer’s first Structural Engineer and began to work in the areas of industrial emergency repair services, setting of heavy equipment, and engineering and planning. 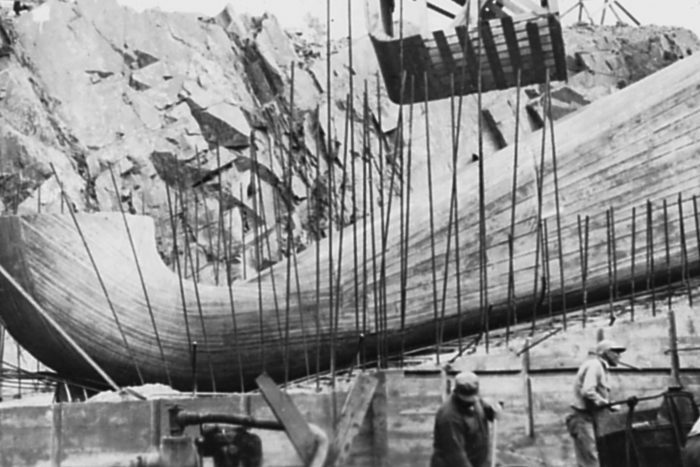 Harry sought to design structures for constructability; that is, engineering into a design the easiest, best and most cost-effective method of construction. 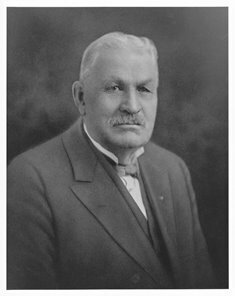 Fred W. Pinkerton began his career as a City Engineer in Oshkosh, Wisconsin in the 1920s. As the husband of Marjorie Meyer, the only child of Harry D. Meyer and his wife Hazel, Fred started at C.R. 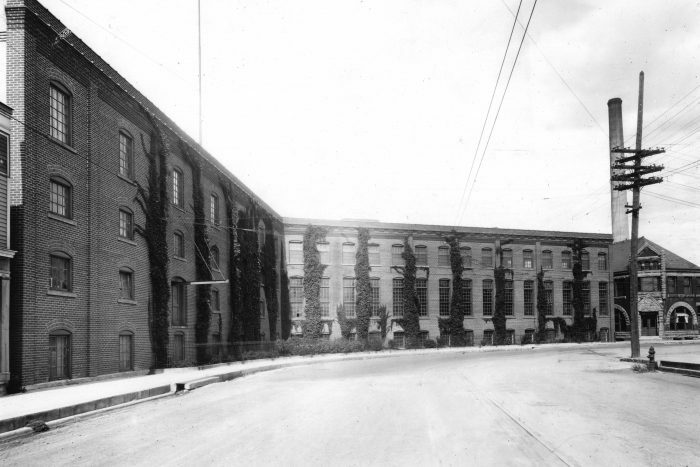 Meyer and Sons Co. in 1937 as a common timekeeper. He went on to assume increasing sales and leadership responsibilities and was named President in 1963. 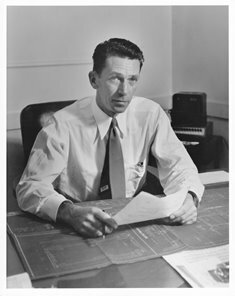 Fred W. was visionary in his staffing and equipping the company to respond to the requirements of the largest paper mill projects. He made it his priority to elevate the finest of men in the field so that others might follow in their footsteps. In the 1980s, he directed the company in its purchase of the Griese & Ross crane fleet, adding heavy equipment rental to the firm’s portfolio. 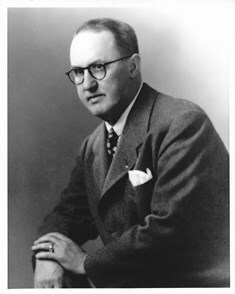 Fred M. was very close to his grandfather (Harry Meyer) as a young boy, from whom he received much advice and encouragement. 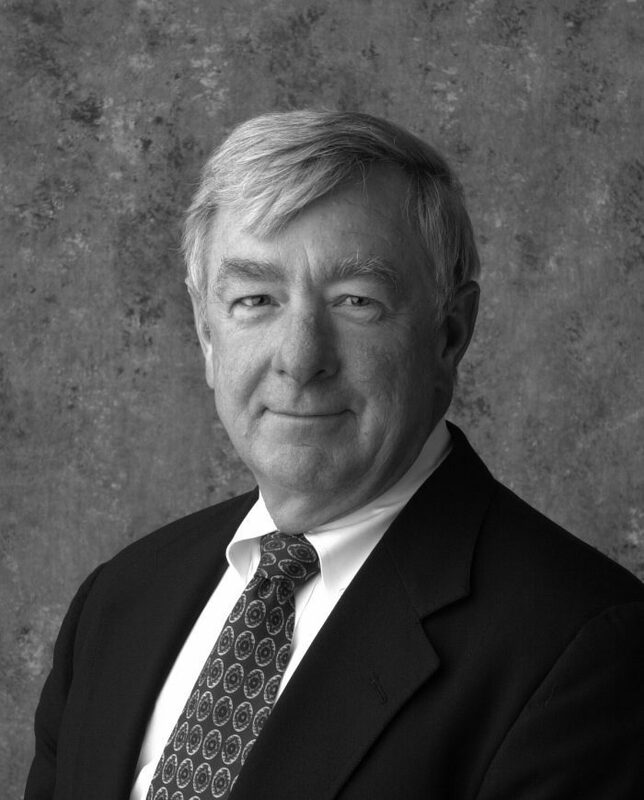 Fred graduated from UW-Madison in 1962 with a degree in Economics and began his career at C.R. Meyer and Sons Co. the same year. One of his most enduring legacies as company president was the melding of design and construction services under one roof, today known in the industry as Design/Build. It was a new and innovative concept in construction, a process that maximized the expertise of both architect and builder to better serve the customer. 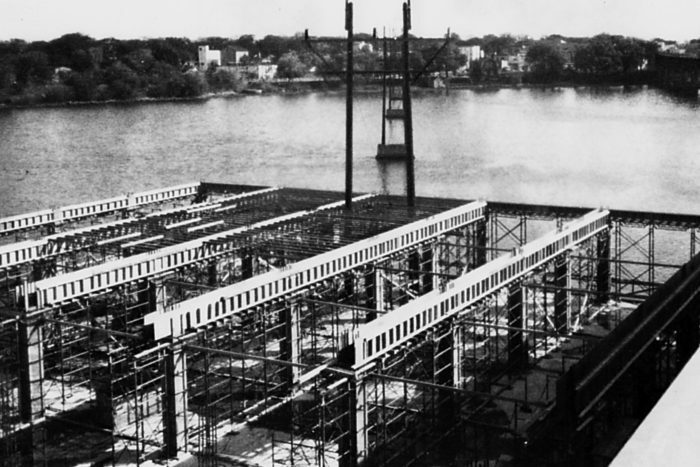 A natural outgrowth of Harry Meyer’s decision to hire a structural engineer so many years before, Fred M. significantly expanded the company’s first team of talented architects. By the early 1990s, C.R. 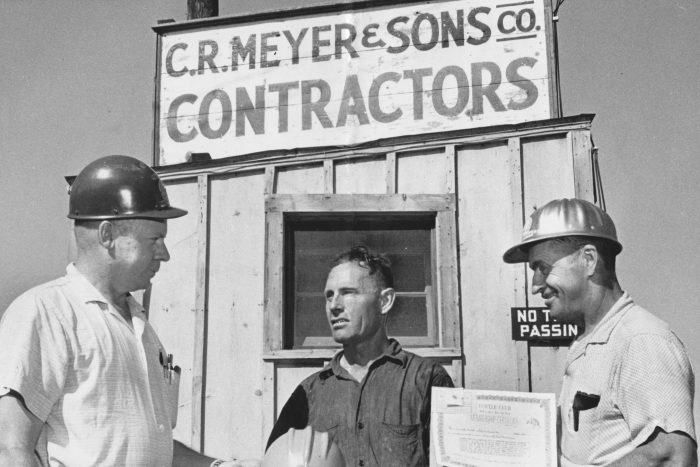 Meyer and Sons Co. was one of the only construction firms in all of Wisconsin to pioneer computer-assisted design services. Phil Martini began his work at C.R. 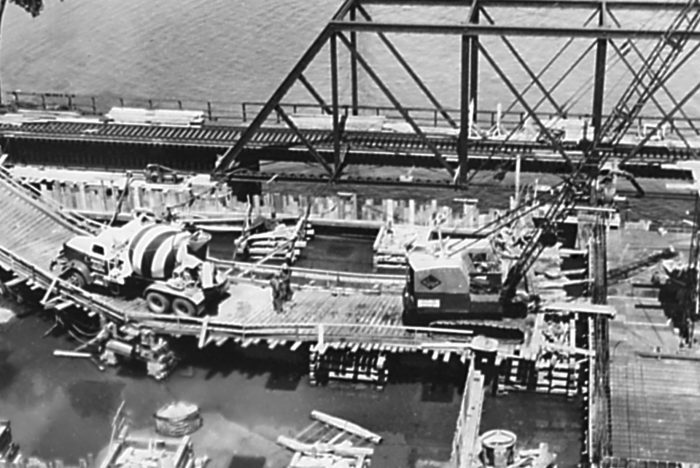 Meyer and Sons Co. as a Project Engineer in the 1970s. 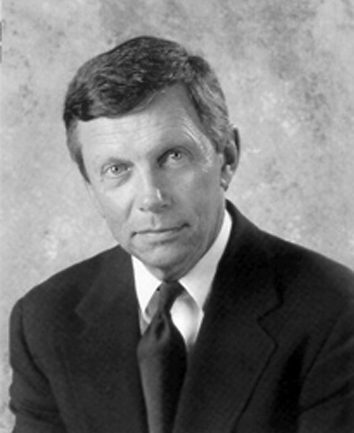 He left the company briefly and returned in 1983 to begin a decades-long tenure where he directed the rapid expansion of seven field offices across the United States. 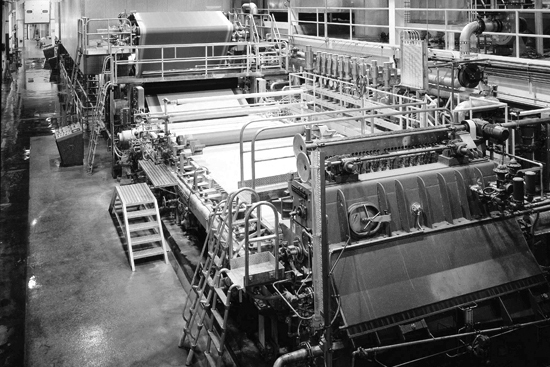 The company’s objective was to maintain local business relationships within an ever-consolidating paper industry by rapidly responding to service calls. The C.R. Meyer and Sons Co. satellite offices in operation today are Rhinelander, WI; Escanaba, MI; Tulsa, OK; Chester, PA; Muskegon, MI; Coleraine, MN; Byron, GA; and Green Bay, WI. Phil was named CEO of C.R. Meyer and Sons Co. in 2011.